Some good news after a long time. Thailand, a country I just visited is 26. 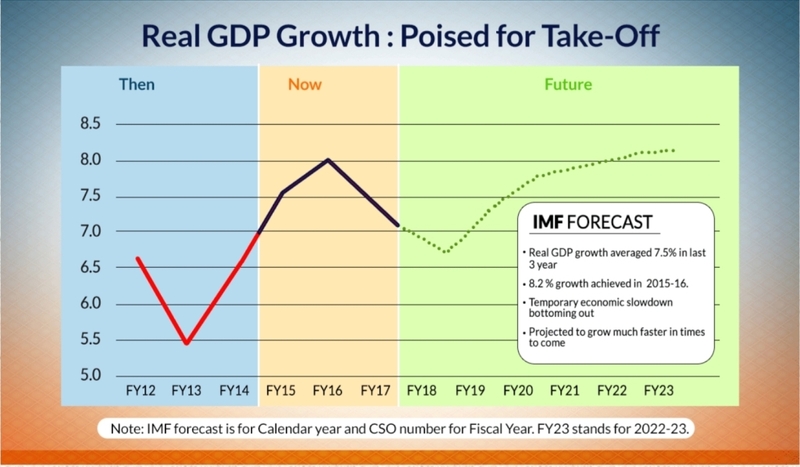 Amidst shrill calls for double- digit growth, Reserve Bank deputy governor Viral Acharya has warned that such faster GDP expansion is always debt-driven and could crash at some point with disastrous consequences. He said that instead the focus now must be to structurally set the economy on the right direction so that when it gets its mojo back growth can pick up at a pace that will be more sustainable. 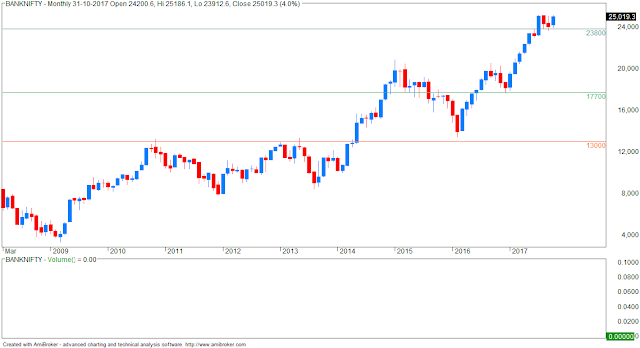 Goldman Sachs Group Inc. and Citigroup Inc. have raised their targets citing the bank recapitalisation programme, infrastructure push and continued inflow of domestic savings into equities. 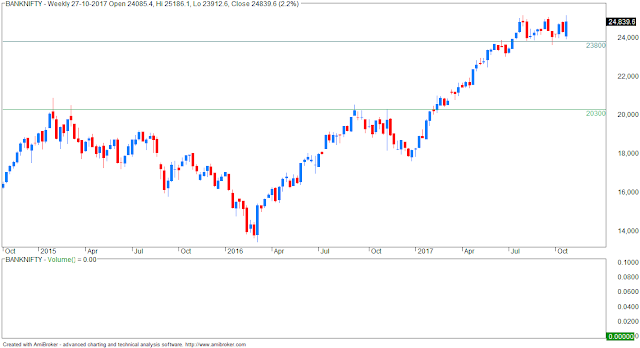 They believe these factors more than offset concerns on valuation and poor earnings growth and are sufficient to propel the Sensex and Nifty to newer highs in 2018. A recent analysis by brokerage firm Credit Suisse showed that the relationship between the economy and markets is tenuous at best. India’s quarterly growth saw a sharp deterioration from 7% in the third quarter of fiscal year 2017 to a three-year low of 5.7% in the first quarter of fiscal year 2018, hurt by demonetisation and implementation of the Goods and Services Tax (GST). However, the market’s continued ascent does not reflect the pain caused by either of these events to the large informal sector, which is a key contributor to the GDP and generates a large number of jobs. Finance minister Arun Jaitley portrayed the Rs 2,11,000 crore recapitalisation of public sector banks that he announced last week as the first essential step to reviving the economy. 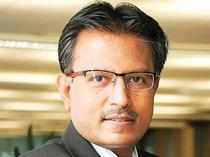 He is right: bank credit has stopped growing because all but a very few public sector banks are so mired in ‘stressed assets’ – or irrecoverable debt – that they have lost the capacity to lend. But even this gargantuan bailout will not revive the banking system, let alone the economy, if it is not accompanied by measures that will address the root causes of the ‘stress’. Jaitley believes that the fault lies entirely with the bank managers, who have lent ‘excessively’ in a ‘non-transparent manner’, and then ‘hidden’ their actions ‘under the carpet’. What is non-transparent is the meaning he attaches to these words. Is he saying that the fault lies entirely with public sector bank managers, who have been corrupt, inefficient or both, and have then hidden their misdeeds ‘under the carpet’? 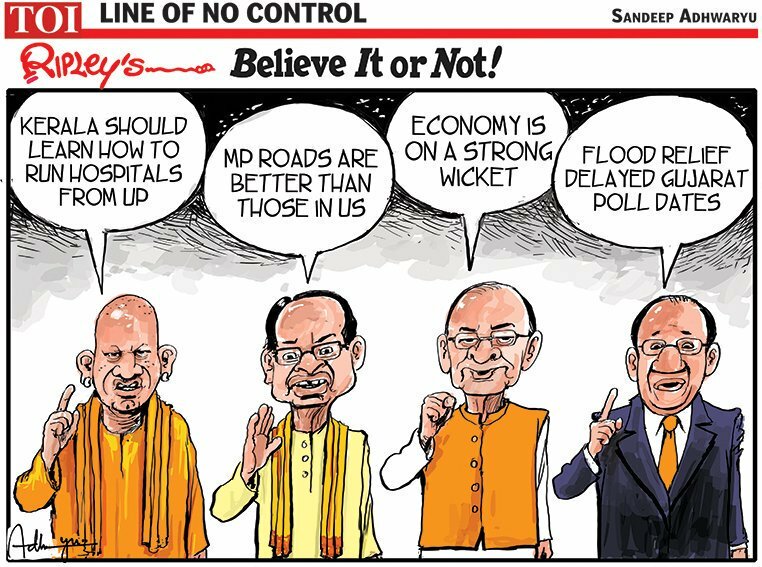 The answer seems to be yes, because he has skilfully laced this with a justification of demonetisation. Both reforms, he has claimed, were necessary because ‘you cannot have an economy where the size of the shadow economy is much bigger than the apparent economy’. The cleaning out process that his government has bravely undertaken will revive growth in the long run all by itself. 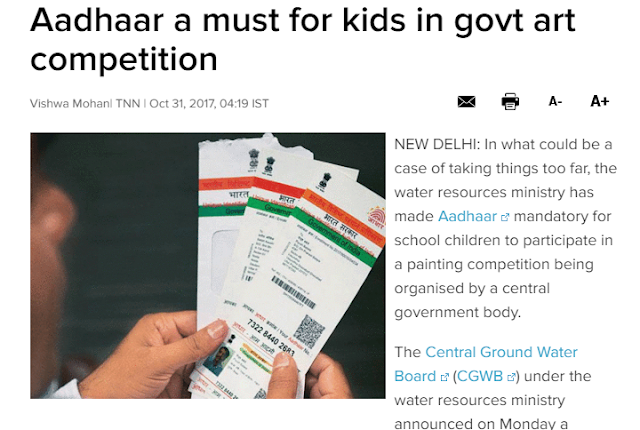 Nowadays aadhaar is required for a lot of services and govt departments it seems are going to ridiculous lengths to make this card mandatory. Can a company buy its own company after the banks have written off its unpaid loans? Another scam? A bid by the Ruias to buy back their own asset - Hazira-based Essar Steel - in a bankruptcy process has raised serious questions of propriety over the entire exercise. Though legally allowed under the bankruptcy code, bankers are worried this could set a precedence for promoters to buy back their assets in a roundabout way at deep discounts and automatically wipe out their debts. Finance ministry officials are also worried about the potential political fall-out of the move. ...tax professionals across the state are up in arms against the government over the problems faced by them in filing goods and services tax (GST) returns. As part of their protests, chartered accounts, advocates, tax practitioners and traders on Friday thronged GST helpdesks (suvidha kendras) in 25 cities and asked the authorities to file GST returns on their behalf. "None of the officials were able to successfully submit even a single return, despite trying for a couple of hours.We have been facing various issues right from generation of arbitrary errors to penalties, among others," said Varis Isani, president, Gujarat Sales Tax Bar Association (GSTBA). Ahmedabad, Jamnagar, Rajkot, Surat, Bhavnagar and Junagadh were among cities where protests were held. "This is a very clear message for all those who believe GST will benefit consumers and poor.When the GST Suvidha Kendra, having highly qualified staff and equipped with latest updated software infrastructure, were unable to file the GSTR-2. How can the government expect compliance from a small trader or consultant?" questioned president of South Gujarat Commercial Tax Bar Association (SGCTBA), Prashant Shah. ... being a trader is not about predictions & calls. 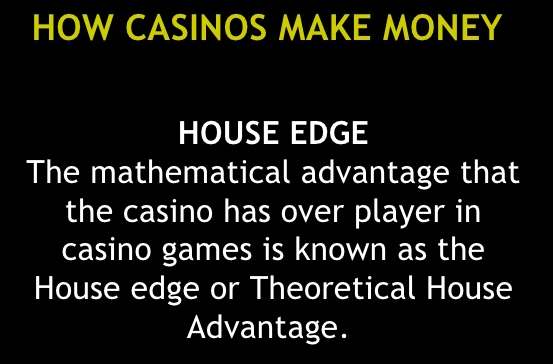 Trading is all about about risk/ reward ratios, position size, an edge and emotional intelligence. In the latter, you start with Re 1 and lose 1% everyday - then see how much you are left with. Recall that RBI’s grouse was that rate cuts would be pointless given the reluctance of banks to pass on the benefits to the real economy. Now that the government has remedied this, it should improve monetary transmission. What better way to boost growth than to give it a shot of interest rate cut, especially when banks will be willing to pass this on? However, it is not that simple. For one, the whole process of capital infusion would be over eight quarters. Responding to a long-drawn process prematurely with a rate cut boost before the results are obvious would be foolish. In RBI’s own words, bank recapitalisation is just a support mechanism when investment demand revives. ... the capital infusion does not materially change anything on the inflation or the growth front immediately. But along with the capital infusion, the government also announced an investment of Rs7 trillion over five years to build roads. This could nudge awake a slumbering investment climate and in turn spur growth. That sits conveniently with RBI’s bullishness on growth recovery in the second half of the fiscal year. The added fillip to growth will most certainly keep up the pressure on core inflation. That gives currency to hike, not cut policy rates. Goldman Sachs believes so as it is forecasting three hikes by the end of 2018. Put writers continue to be aggressive at 10000PE strikes and moderately active at 10200PE and 10300PE strikes. Ultimate November expiry support for November series comes around 10000 level. 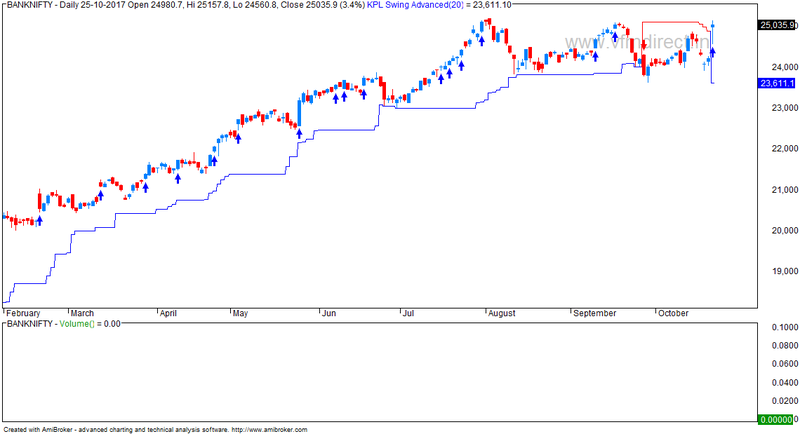 Call writers are not aggressive yet for this series though they are moderately active at 10600CE and 10700CE strikes. 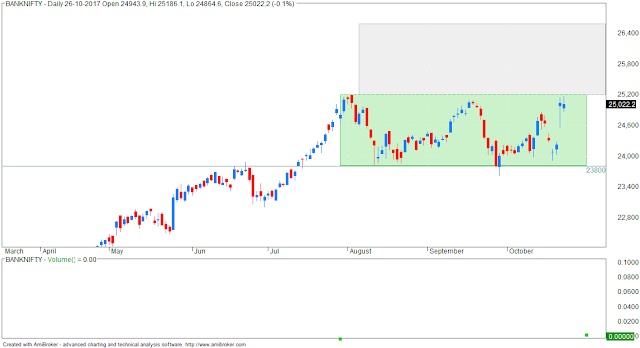 Given the trading conditions, nifty could bring a mix of trendier and sideways action for this series. - swing low support at 10100. Earlier the government and the RBI asked banks to provide for non-performing assets (NPA), but banks did not have enough capital to write off NPA, not that they did not know which company was a NPA. Now by providing capital, banks will have the ability to write off NPAs. The way this entire recap bond has been structured as per the global definition it becomes part of fiscal deficit of this year. In terms of total debt -to-GDP, India is at a much lower level and it just goes up by 0.7%. Without adding to fiscal burden we have created a solution where banks will have capital to write off NPAs, government fiscal stance continues to remain valid and banks now have the ability to create credit. Dilip Ramchandra Kachale is a farmer. His Aadhaar number is 111111110157 and savings account number 11111111111, according to data of farmers provided by banks to the state government for the loan waiver. Another farmer Balkrishna Savale Ramghangali’s Aadhaar number is also 111111110157 and savings account number the same as that of Kachale, 11111111111, as per the data. This isn’t a solitary case. The number of farmers with identical Aadhaar and savings account numbers provided by banks to the state government runs into lakhs, posing a new challenge for the government, which wants to expedite the disbursal of the loan waiver money to 77 lakh farmers covering 56 lakh families across Maharashtra. Remember this post? As expected, the sell signal has whipsawed. Here is the latest chart... trend is still up. 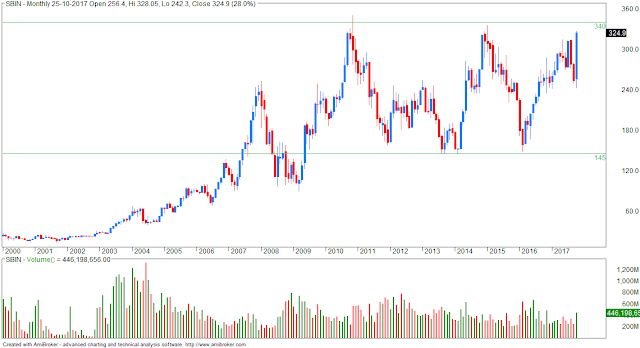 But since the index is still in a range, it is normal to get sell signals near support and buy signal near resistance. 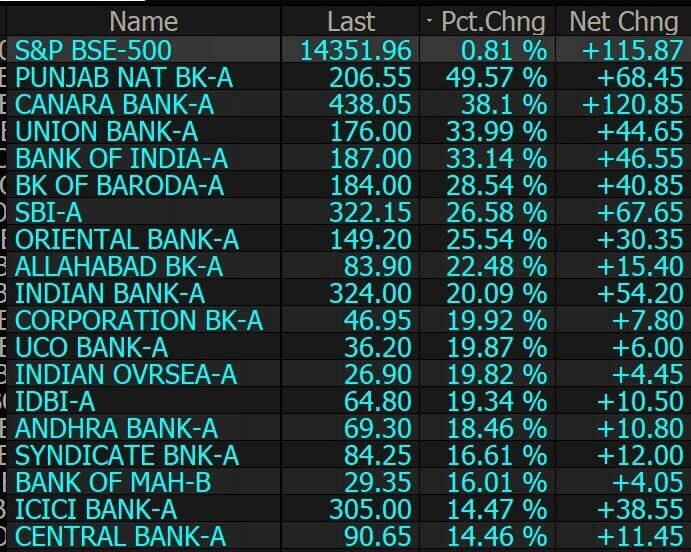 SBI was up 27% today. 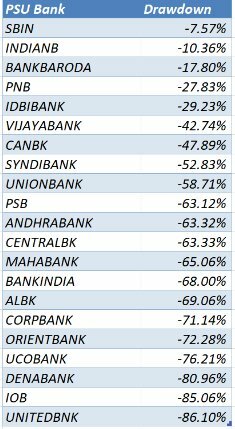 Most PSU banks were up anything from 10% to 40%. This is the monthly chart of SBI where the stock now runs into immediate resistance. For most other PSU banks, the stocks are similarly running into some resistance on monthly chart. 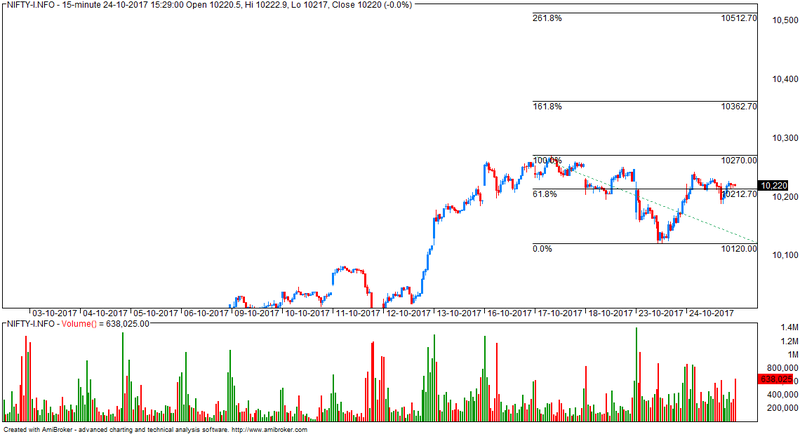 SBI is up 20% today and NF is up 0.7%. 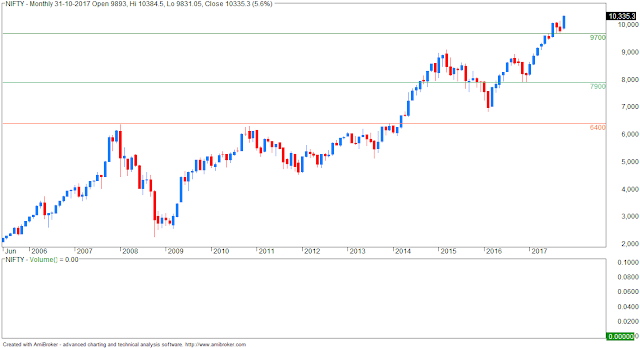 What if SBI was flat today or loses 20% from current levels? 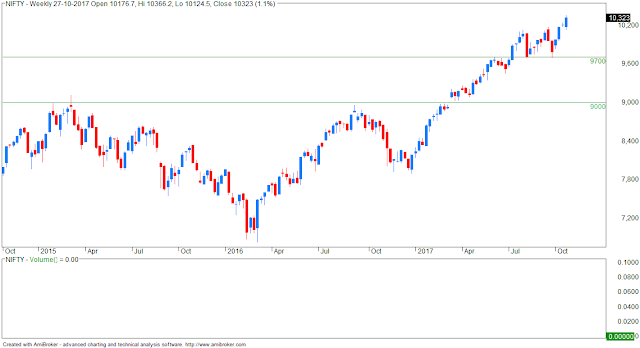 NIFTY would be down 130 points. Check this at the NSE replica calculator. The "Brain in a vat" outlines a scenario in which a mad scientist, machine, or other entity might remove a person's brain from the body, suspend it in a vat of life-sustaining liquid, and connect its neurons by wires to a supercomputer which would provide it with electrical impulses identical to those the brain normally receives. 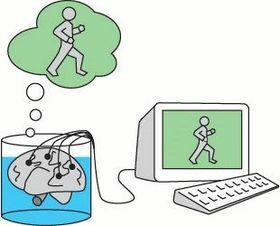 The computer would then be simulating reality (including appropriate responses to the brain's own output) and the "disembodied" brain would continue to have perfectly normal conscious experiences, such as those of a person with an embodied brain, without these being related to objects or events in the real world. Since the brain in a vat gives and receives exactly the same impulses as it would if it were in a skull, and since these are its only way of interacting with its environment, then it is not possible to tell, from the perspective of that brain, whether it is in a human body or a vat. Yet in the first case most of the person's beliefs may be true (if they believe, say, that they are walking down the street, or eating ice-cream); in the latter case their beliefs are false. Since the argument says one cannot know whether one is a brain in a vat, then one cannot know whether most of one's beliefs might be completely false. Since, in principle, it is impossible to rule out oneself being a brain in a vat, there cannot be good grounds for believing any of the things one believes; a skeptical argument would contend that one certainly cannot know them, raising issues with the definition of knowledge. The brain in a vat is a contemporary version of the argument given in Hindu Maya illusion. An excellent video for the space enthusiast or the technically inclined. "Paperclips" casts you as the overlord behind a paperclips business. It starts as a weirdly compelling time-waster - but it's not long before the subtle, postmodern horror of the whole thing sets in. The idea of an ever-more efficient automated paperclip factory has a history in the world of philosophers and futurists contemplating the dangers and possibilities of a "technological singularity" in which artificially intelligent machines rapidly outpace human abilities. At first, it's all very hands-on. Every time you click the button, you make a paperclip. Your goal is to make paperclips as fast as you can, and price them at a level so that demand doesn't wildly outstrip your supply or your materials on hand. Before long, the game offers you the AutoClippers, a tool that automatically makes paperclips without your having to push the button. And then you get WireBuyer, which automatically purchases more wire for you to make paperclip as supplies run out. Pretty soon, it's more efficient to let them go than to make paperclips yourself. By declaring today that there is no merit to allegations of wrongdoing in the Panaya acquisition and reaffirming previous findings of external investigations, Infosys has put its founder-shareholder NR Naryana Murthy in the dock. 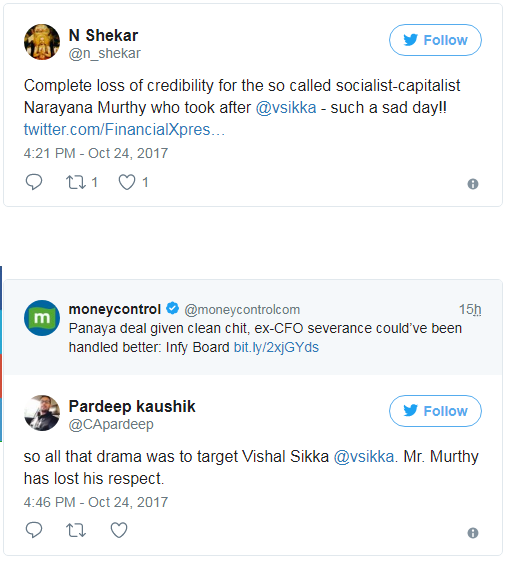 With Infosys ruling out wrongdoing in the Panaya deal, and refusing to make the investigation report public, there came an outpouring of support for the software major’s beleaguered ex-chief executive Vishal Sikka, and questions for founder NR Narayana Murthy. On Tuesday, releasing its second quarter results, Infosys gave a clean chit to the Panaya deal, and conceded that Bansal’s severance could have been handled better. Apple co-founder Steve Wozniak, a mathematician by training, believes bitcoin is superior to both as a medium and store of value for one crucial reason: Its mathematically determined supply of 21 million coins makes it impossible to dilute the existing supply, making it more secure. As Bitcoin Magazine reported, Wozniak feels a currency is more “stable” when it cannot be diluted. “In view of land constraints and competing needs, there is limited scope for further expansion of the road network," the Land Transport Authority said in a statement on its website. Roads already account for 12 percent of the city-state’s total land area, it said. Smaller than New York City, land in Singapore is a precious commodity and officials want to ensure the most productive use of the remaining space. Its infrastructure is among the world’s most efficient and the government is investing S$28 billion ($21 billion) more on rail and bus transportation over the next five years, the regulator said. Singapore requires car owners to buy permits -- called Certificates of Entitlement -- that allow holders to own their vehicles for 10 years. These permits are limited in supply and auctioned monthly by the government. At the most recent offering last week, the permit cost S$41,617 for the smallest vehicles. My take... good idea. Indian govt should consider some version of this for metros in India. No point building more flyovers and adding more cars at some time. In Mumbai, more flyovers have not decreased the travel time unless it is on Sunday. The govt can improve public transport and fewer cars on roads will mean faster commute time.